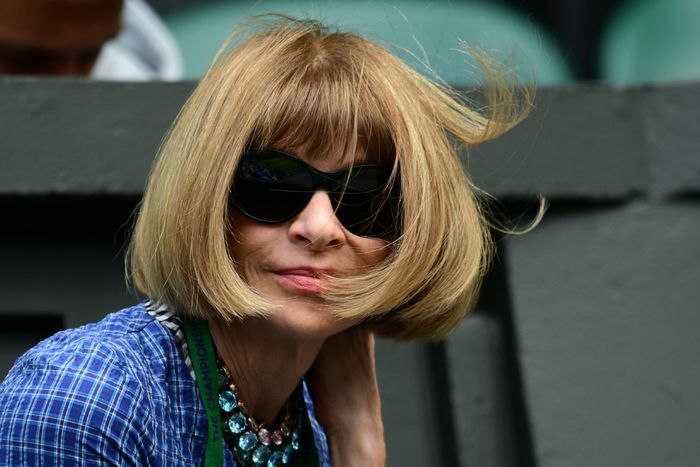 U.S. Vogue editor in chief Anna Wintour is highly regarded as having the final word on fashion’s next wave of trends, so if she takes a sartorial plunge and wears a statement print, it’s safe to say that it’s a winner. Case in point, the prolific editor wore the aptly named Anna dress from Altuzarra’s Pre-Spring 17 collection to day eight of Wimbledon. And now all bets are firmly settled that gingham is indeed in. Gingham has been a print on the steady rise, as we called it in our latest piece about the four trends you need to know now. We've seen splashes of the fabric on the catwalks at Victoria Beckham, Wes Gordon and J.Crew, and it's also been spotted on the street style circuit. But now that gingham has seemingly grown up from its coquettish, picnic-in-the-park affectations, you may notice more A-listers who like its new style direction. From pencil skirts to wrap dresses, at long last, the gingham look has moved on from its prior über-feminine territory. Not only does this printed cotton fabric spell summer, but it’s a welcome vacation from the typical florals that seem ever-present in the sunny season (actually, where is the sun, London?!). Scroll down to shop our gingham edit. Wear this skirt to the office with a silk blouse and sky-high heels. Toughen up J.W's top with black leather trousers. As seen on Sienna Miller, and now totally affordable for your wardrobe. Yes. This key piece will be on-trend for next summer too. Invest quick! Are already ahead of the curve and wearing gingham? Let us know in the comments below!